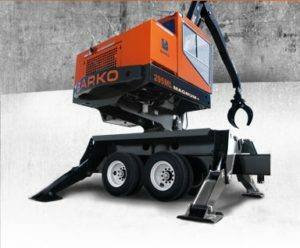 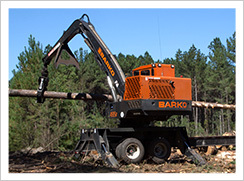 Barko’s hard-working trailer/truck mount loaders offer optimal fuel efficiency and transportation flexibility for a wide range of logging and saw mill operations. 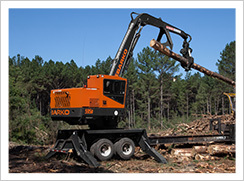 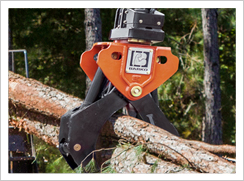 The loaders incorporate the highest quality engineering and components to withstand the demanding needs of forestry professionals and deliver more loads every day. 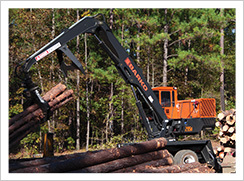 Offering horizontal reach up to 30 feet, the 295B delivers a maximum lift capacity of 22,820 pounds.